In Clearwater Beach, the sand is as soft as a cloud and as white as fresh snow. Sift it through your fingers and it feels like flour. The warm Gulf waters are a shade of blue that looks stolen from a box of crayons. Alongside the sand and surf sits an old-fashioned pier and the palm-lined Beach Walk Promenade, a prime place for a breezy stroll. 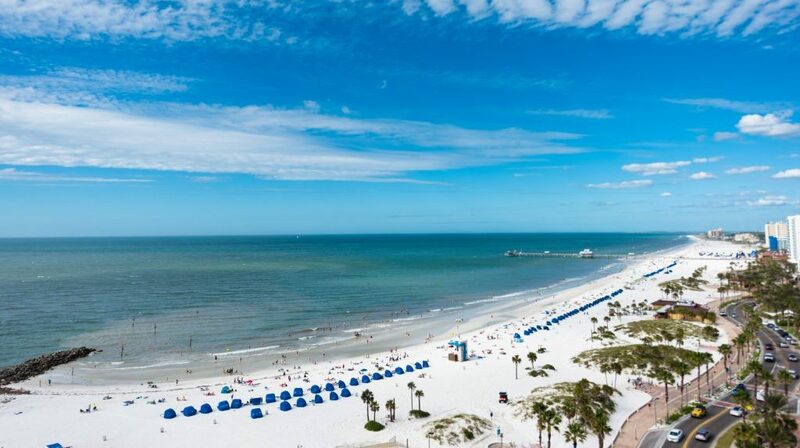 It only takes a minute to understand why Clearwater Beach ranked number one on Trip Advisor’s list of top beaches for 2018. As stunning as the beach is, do yourself a favor and shake away the sand. Take some time to explore this sun-kissed community’s other attractions. Here are some of our favorite things to do after you’ve dried off. The Fred Marquis Pinellas Trail is a multi-use paved urban rail trail linking parks, coastal landscapes and residential areas. 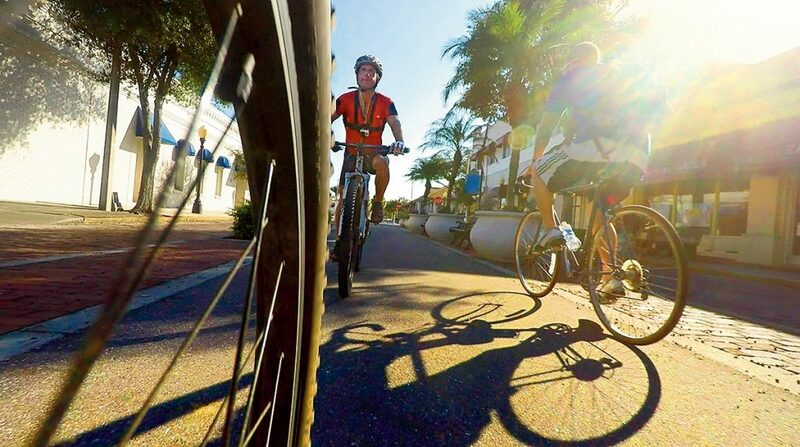 The 37-mile trail spans from St. Petersburg to Tarpon Springs and goes right through Clearwater. It attracts some 75,000 bikers, skateboarders, joggers and walkers each month, so you’ll have plenty of company. Clearwater Marine Aquarium is not your typical aquarium. It’s a working marine hospital that rehabilitates rescued animals from sickness or injury with the definitive goal of releasing them back into their natural habitat when they are ready. Animals who cannot be viably released remain here so those are the animals you will see. Its most illustrious resident is Winter, the dolphin without a tail who stars in the popular Dolphin Tale movie series. Winter’s tail was entangled in a crab trap line cutting off her circulation. She was brought to the aquarium and brilliantly adapted to her new physical form. She has been fitted with a prosthetic tail, which she wears some of the time. Many people have been inspired by her story and come from around the globe to meet their aquatic hero. The Florida heat is intense but beer is a sure-fire way to cool off and quench your thirst. Luckily, the local craft beer scene is hopping. Grindhaus Brew Lab is a small-batch brewery committed to using only all-natural ingredients. They screen classic, cult and B movies each weekend on the big screen in the brewhouse. Southern Lights Brewing Co. serves a stellar menu of brews. The Grain Man-Hefeweizen is a classic German wheat beer with subtle notes of banana and clove. Hopheads should go straight for the balanced yet zesty Derogatory, a double IPA. Last but not least, Clearwater Social Brewing Co. is producing a fine selection of handcrafted small-batch ales. 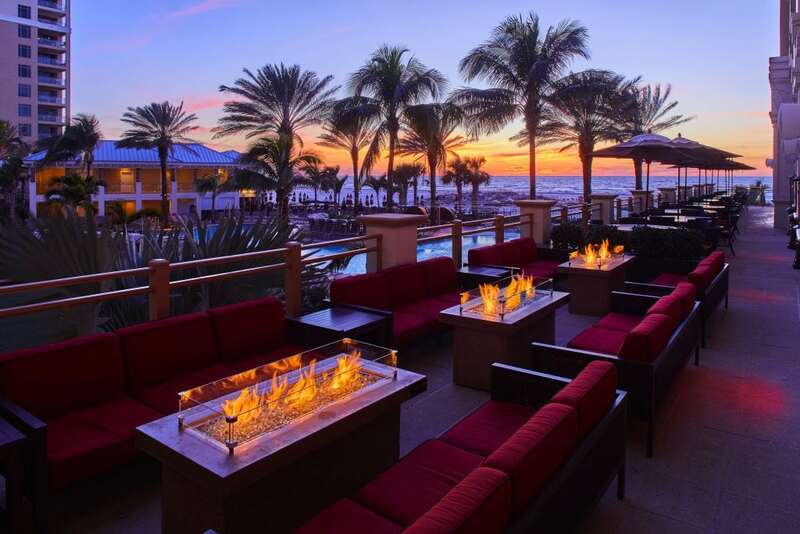 Caretta on the Gulf is perched beachside with both indoor and outdoor seating. Go for the organic menu paired with a selection of organic wines, or order from the regular menu featuring locally sourced ingredients. Seafood options, including halibut and just-caught grouper, are winners. Sunday brunch draws a loyal local crowd. 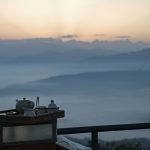 Service is as wonderful as the view. 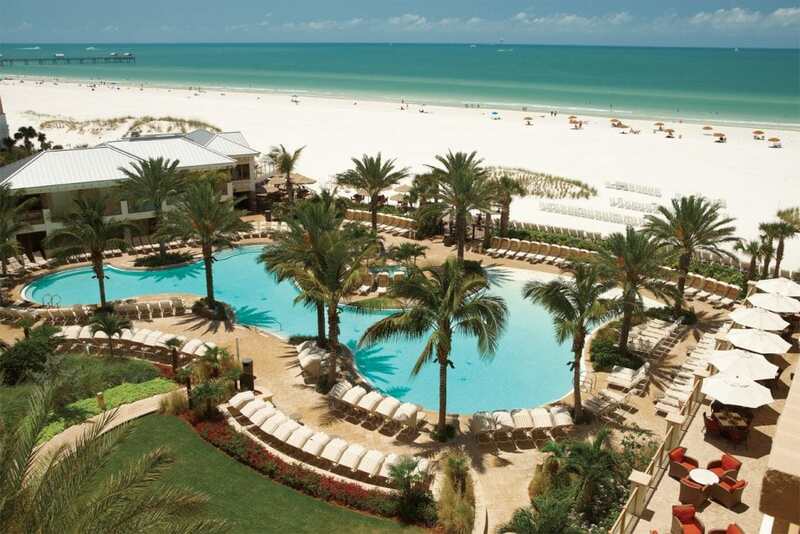 The casually elegant Sandpearl Resort enjoys a sublime location on Clearwater’s pristine beach. The resort’s 203 rooms and 50 suites exploit their privileged location with sweeping Gulf, Bay or coastal views. Décor is in tune with the natural elements so expect soothing earth tones and beach-chic décor in guest rooms and common areas. The hotel is just steps from a 700-foot stretch of silky soft sand and endless sea but don’t be surprised if the gorgeous lagoon-style swimming pool tempts you in for a dip. As Florida’s first Silver LEED-certified resort, Sandpearl is the state’s environmental leader. 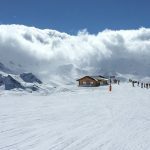 The property was built with the goal of contributing to the environment in a positive manner with low emission materials used in the building’s construction. Advanced water conservation, ozone pool sanitizing and a geothermal pool heating system are a few of the many sustainable measures in place. Native vegetation, including flowering date palms and elegant Christmas palms, is present throughout the beautifully landscaped grounds. 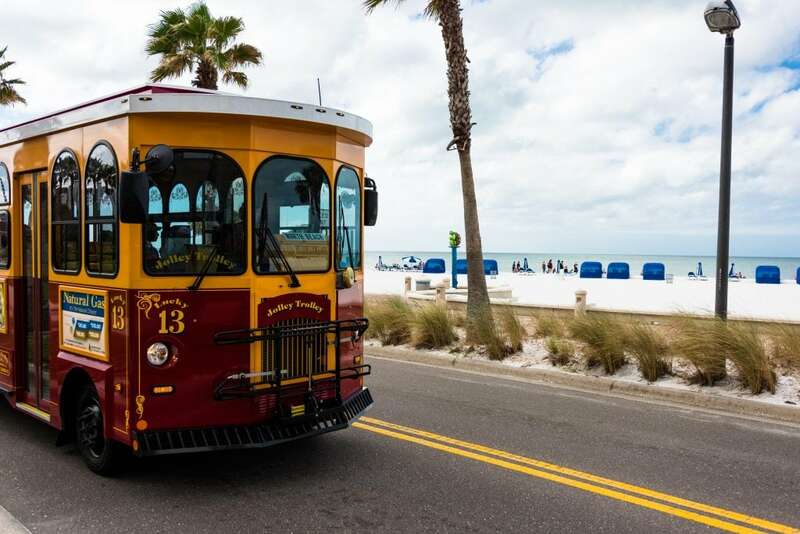 Guests may simply show their room key to ride all local public transportation, including the cute Jolley Trolley, around town for free, making Sandpearl the hands-down winner for car-free travelers. Free bikes make it practically perfect. The onsite spa is a tranquil oasis with dozens of coastal-inspired and organic treatments. Book a pampering spa service and you’ll leave feeling like a million bucks. Fly JetBlue to Tampa and catch the Super Shuttle to Clearwater. Your toes will be swishing around in the sand in 30 minutes. While you’re at the JFK terminal, take time to savor JetBlue’s rooftop urban garden. 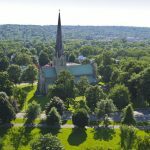 They’re growing a variety of veggies including blue potatoes, leeks, beets, carrots, arugula and herbs, and donating the harvest to local food banks. For additional trip planning information check out www.visitstpeteclearwater.com and www.visitclearwaterflorida.com. Images courtesy of Boone Clemmons of Seersucker Studios, VisitStPeteClearwater.com and Sandpearl Resort.